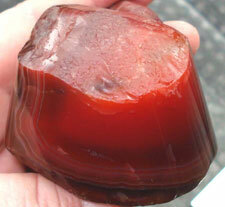 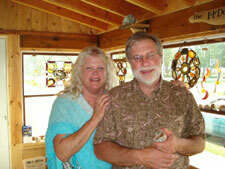 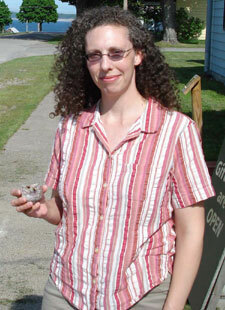 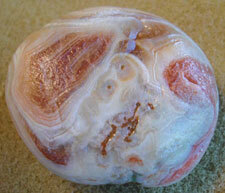 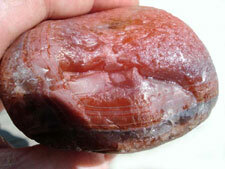 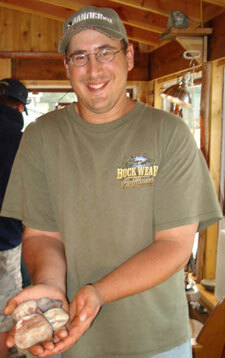 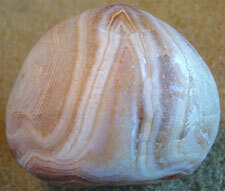 The next agate is one of the strangest I have ever seen.It was found by Jacie Hunnicutt from Lansing. 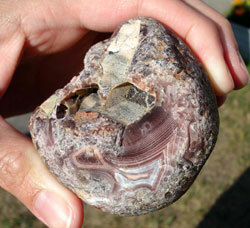 It appears to have formed as a concretion, inside of a partly-hollow pocket with a chalcedony outer layer. 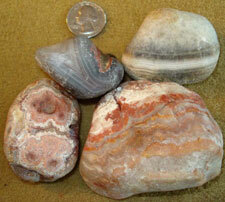 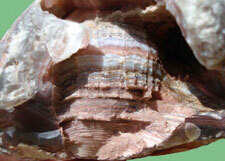 A second picture of the bottom has a distinctive fortification pattern as well as two six-sided, inch and a half hollow cavities, which appear to have had macrocrystals that have since popped out.If anyone has seen a Lake Superior agate like this one before, or if you have any ideas about the genesis of this rare find, please send me an email to karen @ agatelady.com.